1883 will be remembered in history as the year that Tsar Alexander III was crowned in Russia but, there was also a lesser known invention. The latex glove first made its appearance in this year but it wasn’t until a decade later before it became an accepted part of surgical procedures. In the later 19th Century, our understanding of what caused infections was far more limited and simplistic than our understanding today. Many surgeons and doctors still believed that infections were caused by miasmas – bad smells that carried unknown and unidentified ‘germs’. Slowly the link was made that bacteria was introduced into wounds from surfaces and instruments, including the hands of the surgeon. Thus, with the 20th Century on the doorstep, the latex glove became as routine to an operation as anaesthetic. A pressing issue There was, however, a pressing issue that needed solving. Surgeons complained at the difficulty of squeezing the rubber glove on to their hands. Naturally close fitting to allow for dexterity, the latex glove stuck to the skin, making it difficult to remove without causing discomfort, or causing it to rip. The industry responded by combining talc and a lycopodium spores but, on discovering these mould spores were toxic to humans, manufacturers stuck to talc-only-lubrication. This innovation lasted 40 years until it became apparent that this talc was causing issues for the patient and their recovery, and during the Second World War talc in the gloves was replaced with edible starch. Absorbent, it was also considered to be a non-irritant and has remained the lubricant in latex gloves ever since, with the process now being refined so that each glove is liberally coated. A new challenge However, as we entered the 21st Century, there was a new issue – the growing number of people allergic to latex. Opinions vary as to why this is the case, with many scientists believing that the number of objects and products that contain latex to be the underlying cause. This allergic reaction seems to be made worse by the powder in the gloves too and thus, the vast majority of latex gloves are no longer powdered. Many of these surgical grade and examination gloves are now coated in a chlorination process, making the surface of the glove less tacky. The latex glove continues to play a part on all walks of life, from the operating theatre to the tattoo parlour, and continues to evolve even today! This entry was posted in News on August 14, 2015 by Manoj Parmar. This entry was posted in News on June 30, 2015 by Manoj Parmar. Gloves are an item often kept in the kitchen, but did you know that the common rubber glove could come in handy in plenty of other locations, both in and out of the home. Here, we take a look at where you should be storing your rubber gloves, to allow you to reach them quickly when you need them. The Kitchen We all know rubber gloves are useful in the kitchen. They protect your hands and also ensure any food preparation can be done without risking germs being spread from your hands. They are also very handy if you are allergic to certain foods, such as shellfish, but still have to prepare it for guests. Keep some stored in the cupboard under the sink for easy access. Bathrooms Another handy place to keep rubber gloves is the bathroom. They can be very useful when cleaning as they prevent any harsh chemicals from coming into contact with your skin. They’re also nice to have on when doing the jobs that no one likes, like cleaning the toilet or fishing hair from the plughole. Anyone who dyes their hair using home hair kits knows that the gloves you get in the packet are, quite frankly, rubbish. They don’t fit well and they’re very thin meaning they rip easily. Hair dye on your skin is the last thing anyone wants because it stains, badly. Having some rubber gloves in the bathroom is really useful for regular users of home hair dye kits who want to protect their hands from embarrassing stains. The Car Everyone should have supplies in the boot of their car in case of an emergency breakdown. A torch, blanket and a bottle of water are often things advised to keep in your boot in case you get stuck. Rubber gloves are also a good idea to keep in the car. If you need to change a tyre or check oil levels, they can protect your hands from dirt and scrapes, and also offer extra grip when tightening bolts. First Aid Kit It is always advisable to keep a supply of sterile gloves in your first aid kit. Every home and business should have a well-stocked first aid kit in case of emergencies. It can be a good idea to keep a small first aid kit in your car too. Sterile gloves, often made from latex, are essential in treating any open wounds as they protect the injured party from any germs or bacteria entering and consequently infecting their wounds. This entry was posted in News on June 1, 2015 by Manoj Parmar. When it comes to protective gloves, there is a whole array of products available from latex gloves for medical use, through to industrial gloves for protection in more dangerous and challenging environments. It can be difficult to know which is the right glove to use, when to use and in what industry, so we’ve put together a helpful Glove Selection Guide to help make the selection easier. A popular choice for use in the medical, dental, industrial and food industries – all our latex gloves meet medical and governmental standards for use in these practices. Made from natural rubber, latex gloves are durable and offer a high level of protection against high risk and infectious materials, although they shouldn’t be used with high levels of strong chemicals. Latex fits like a second skin, making them comfortable and providing good touch sensitivity and dexterity to the wearer too. Made from a synthetic rubber, nitrile gloves are a great alternative for wearers who suffer from latex allergies. With higher puncture and chemical resistance than latex or vinyl, these are the perfect glove for use in medical, dental, veterinary or industrial environments. They are designed to provide the same sensitivity and dexterity to latex gloves, but are often preferred for added protection. These are also latex-free, but not as durable as the nitrile glove. They are commonly used in the food preparation, cleaning, hairdressing, engineering, automotive and care home industry. They still offer strength and durability, but don’t have the same tactile properties of latex or nitrile making them less appropriate for uses where touch sensitivity is required. These gloves offer full protection of the forearm and beyond, and are good for use in situations where the entire arm needs covering, such as medical, midwifery, industrial, manufacturing and veterinary use. They come in the option of polythene or latex depending on the use required. These are for use in high risk environments such as industrial or chemical industries, as well as pest control or medical sectors, where there is a requirement for extra protection, durability and strength in a glove. These have similar properties to the vinyl glove, but are cream or clear coloured. They are also latex free, so great for users with allergies too. They provide more elasticity, durability and touch sensitivity than the vinyl glove, so are perfect for use in a number of industries such as medical, dental, automotive, engineering and manufacturing. Perfect for use in the medical, dental, veterinary and food industries where hygiene and contamination is of the utmost importance. These gloves are available in latex, nitrile or vinyl depending on the level of protection required and if the user has a latex allergy. Designed to be hard-wearing and withstand extreme conditions for industrial, engineering, rigging and manual work, industrial gloves offer the perfect level of protection in these environments. Depending on the nature of the work, they come with a range of features including rubber, nitrile or latex coating for added grip. These plastic gloves provide a basic level of protection to users, but are not suitable for medical use, unless stated. They’re an ideal alternative to latex gloves and are cost effective for frequent use too in the food preparation industry, care homes, cleaning and hairdressing industries. This entry was posted in News on May 13, 2015 by Manoj Parmar. Last month was the first instalment of our three month feature covering the most surprising locations of dirt and bacteria in your home. Forget the kitchen bin, the toilet or the mouldy food in the fridge, because they’re nowhere near the top of the list of bacteria ridden places in the home. In fact, those items that you’re likely to wear gloves to touch and clean are likely to be the least of your problems. Last month we saw that kitchen sinks and toothbrushes are two of the locations with the highest bacteria count in your home. So, what do we have in store this month? Salt & Pepper shakers Your salt and pepper shakers are likely to sit on the very table that you and your family gather around to eat every day and they’re likely to be covered in bacteria. A study, conducted by the University of Virginia in 2008, showed that salt and pepper shakers were one of the main causes of a cold in a test group of 30 adults. These adults were showing the first symptoms of a cold and were asked to name ten places that they’d touched in their homes in the previous 18 hours. These places were then all tested. These tests found viruses on 41% of surfaces but found the cold virus on 100% of the salt and pepper shakers. One of the best ways to banish the bacteria from your dining table is to wipe off the salt and pepper shakers at the same time you clean your table. Use an anti-bacterial spray on your table and shakers, but bear in mind that the best way to protect yourself and your family against infection, is to wash your hands before and after. TV remote control The TV remote gets everywhere, it’s pushed down the side of the sofa, held in sweaty palms for hours on end, it’s dropped on the floor and it’s sneezed and coughed on by all members of the family. Remember, anything that people touch will have a lot of germs on it, and considering everyone touches the TV remote, you should expect it to be a haven for bacteria. The only way to protect yourself from the constant cycle of germs that are breeding on your remote control is to use an alcohol or bleach wipe – be aware that this is not advisable with children because of their tendency to put things in their mouths – or to wash your hands before and after use. This entry was posted in News on April 22, 2015 by Manoj Parmar. The Kitchen Sink Although you’re probably more than happy to eat anything that you’ve accidentally dropped in the sink – i.e. a tomato you were washing for a salad – it could actually be safer to eat it out of your toilet bowl. Your kitchen sink serves as a breeding ground for germs and bacteria. The food particles that remain after washing dirty plates or leaving them to soak can result in the development of illness-causing bacteria including E. coli and salmonella. So why is you toilet likely to be safer to eat from than your kitchen sink? Well, because the majority of people take steps to sterilise their toilets regularly, whereas the kitchen sink gets a quick rinse with water and it’s assumed they’re clean, and generally, they’re not. In order to keep your sink clean and free from bacteria, it’s recommended to wash it once a day with a bleach and water solution and to let the solution run down the drain so that’s also clean. Remember to protect your skin when using bleach and other potentially irritating cleaners. Toothbrush The fact is, the majority of people consider their toothbrush to be clean because they use it to clean their mouths. However, as well as all the bacteria that your toothbrush collects from your mouth, bacteria from around the room accumulates on your brush too. After each toothbrush use, you’re likely to leave it damp, providing a haven for bacteria that like a moist area to grow. You also need to be aware of toilet germs that linger in the air. Every time you flush the toilet it sends a spray of bacteria into the air. These germs can hove in the air for up to two hours before settling on surfaces, including your toothbrush. To keep your toothbrush as clean and free from bacteria as possible, you should change it regularly – especially if you become ill – leave it somewhere it can dry out between brushes and, close the toilet seat before flushing to prevent unnecessary bacteria escaping into the air and settling on your toothbrush. This entry was posted in News on March 27, 2015 by Manoj Parmar. Vinyl gloves are often a popular choice for the food industry. These disposable gloves are often less durable and are the least expensive option for situations where flexibility and ease of use is required and durability is not quite as important. Budget friendly and useful in many different industries it’s no wonder they’re so popular. Vinyl gloves are latex free and so are suitable for anyone wearing protective gloves that may have a latex allergy. They are a great fit for most people and provide more agility so hands can move freely enabling most tasks to be done quickly and efficiently. For low risk tasks where gloves are needed for short periods, vinyl gloves are a suitable, low cost option. Vinyl gloves are most suitable when used for low risk activities. They are best avoided where hazardous materials are being used. Vinyl gloves come lightly coated in powder such as cornstarch, making them easy to put on and take off again after your tasks are complete. The benefits of vinyl gloves and when to look for an alternative There are a number of benefits for choosing vinyl gloves over other types of protective gloves. Gloves made from vinyl are manufactured in a way to enable stretch and versatility whilst they are also able to hold up against punctures, stretch and general wear and tear. They can be used for healthcare tasks, keeping hands safe from contamination. However, for urgent tasks such as surgery or where strength and durability is needed, the medical industry would avoid vinyl due to the risks of slitting under pressure due to the low elasticity provided by vinyl gloves in comparison to other gloves such as nitrile gloves. If health risks and contamination are a concern, the correct grade of protective glove can provide some protection against contamination from bodily fluids such as blood and pathogens however the realisation that not every risk will be protected against needs to be fully explored and steps taken to protect employees. Tasks that are optimised using vinyl gloves There is a great deal of varied scope for the use of vinyl gloves and many industries can benefit from their use for the protection of hands and reduce the contamination of products. Medical tasks, food handling, chemical and oil industries and also painting tasks can benefit from the use of vinyl gloves. They are effective in protecting against oily substances, acid, emulsions and other liquids and serve well in food preparation where cross contamination needs to be kept to a strict minimum. Due to their anti-static nature, they are also useful when working with wires and cords. Stripping back sheaths on cords with tools can cause static and these gloves are useful in protecting hands from chafing. Options for those with allergies The substance used to create vinyl gloves is also known as PVC-polyvinyl chloride and is one of the most widely used, readily available plastics in the manufacturing of protective gloves. The durability and protective properties of PVC enables gloves to be made as an alternative to natural rubber and replaces latex as an allergen free alternative. Another benefit of PVC is its low cost and couple with its biological and chemical resistance vinyl gloves become the most versatile protective glove across the industries and are suitable for household tasks. Next time you’re completing a task such as food prep, or looking to order some gloves to protect your hands whilst performing tasks such as low risk healthcare jobs, consider how much better the job would be performed by choosing flexible, adaptable vinyl gloves. This entry was posted in News on March 13, 2015 by Manoj Parmar. Protective gloves are an important factor in choosing protective clothing. These gloves are disposable and made from synthetic rubber. They are resilient to wear and tear, punctures and offer a great deal of resistance to many different types of chemicals, keeping your hands safe. They are not likely to thin or deteriorate from contact with certain chemicals. In addition to this chemical resistance, oils and acids are less likely to cause damage to the gloves ensuring your safety is protected. Nitrile gloves are strong, reliable gloves when protection to your hands is needed. The benefits of choosing the right Nitrile gloves Nitrile gloves are low friction in comparison to other protective gloves making them easy to slide on and off. They so not have the coating of powder other gloves, such as latex gloves, may have to aid ease of wear. Available in a wide range of sizes to fit everyone, they are a comfortable, versatile glove suitable for many uses when your hands and the materials you use need protection. Nitrile rubber gloves are generally used as a replacement for people who may suffer from an allergy to latex, making other gloves on the market unsuitable due to their latex content. Due to their resilience to oils, acids and chemicals, nitrile gloves are suitable for food handling. In home environments or industrial manufacturing, nitrile gloves do not contain the powder coating that can contaminate food and be unsuitable for food handling. They should not be stored under excessive light or heat in order to protect their integrity and ensure the rubber does not deteriorate. Nitrile gloves also come marked as Medical Grade and are considered the highest form of protection rating. For use in clinics, doctors surgeries and hospitals, nitrile gloves are easy to get on and off in a hurry if needed and can be changed quickly between tasks. Safety is key and the protection nitrile gloves offer has been tested extensively to provide the medical field with reliable protective wear. How to decide When deciding upon the level of protection you need, consideration should be given to quality of the glove and the manufacturers grading to ensure the glove will do its job. Individuals with allergies need to take into consideration the duration they may have the gloves and the materials the gloves are made from in order to not cause any harm to themselves whilst wearing gloves and risking non-use whilst working, increasing risk of contamination to food or harm to their own self, nitrile gloves are often recommended for people with a latex allergy. Latex, vinyl and nitrile gloves are graded in line with their use and protective capability Medical grade gloves are used by the medical profession as well as other high risk environments and are considered the highest specification. As well as medical food preparation and packaging, nitrile gloves can be also be used in other utility areas. Painters and decorators may use nitrile gloves, as they are easy to slip on and off to protect themselves from chemical spills and paint. Other tasks such as household cleaning, handling of cleaning fluids and chemicals or industrial cleaning are also tasks you may make use of easy to wear nitrile gloves. Please see our extension range of Nitrile and other gloves for all purposes and industries. This entry was posted in News on March 9, 2015 by Manoj Parmar. The origin of the latex glove is said to date back to around 1883 but it wasn't until around 1894 that it was first developed and introduced as a useful aid by William Stewart Halstead, chief surgeon at the John Hopkins Hospital, to prevent damage to the skin of medical staff when handling chemicals. Because they are close fitting they offer more ‘feel’ and sensitivity when handling objects. Despite the fact that some people suffer allergic reactions to the latex as well as the obvious low level of protection against certain solvents or sharp objects, latex gloves are widely used throughout the world in a number of industries. Here, we take a look at some of the most widely used gloves, and the world’s industries that they’re a big part of. Medicine and Veterinary Latex gloves are widely used by doctors and nurses, as anyone who has had a blood sample taken will testify. The gloves are excellent for protecting any medical personnel against the risk of coming into contact with bodily fluids which may potentially be infectious. Because the gloves are sterile and disposable they are used one time only which means there is no chance of transmitting infection. Veterinarians will use them when examining animals which have oozing or infectious wounds to avoid transference of bacteria to work surfaces. Latex gloves are also widely used in the pharmaceutical research industry to keep conditions as sterile as possible and to give the user protection against chemicals like methanol and acetone. Catering and Food Outlets Most people who work in any aspect of the food industry, from the foodstuff producing factories, to shops and large supermarkets, to restaurants and cafés nowadays are taught and understand the need to avoid transferring bacteria on to food items being served to the general public. In this age of litigation it is necessary to be aware of the devastation which can follow from a potential outbreak of diseases like e-coli and salmonella and latex gloves are an essential tool in the fight against this. Many food safety courses across the globe promote the use of gloves in catering and food industries. Hairdressing and Cosmetic Procedures The hairdressing industry uses chemicals in colouring and perming hair, and latex gloves can give good protection against the dermatitis which can result for some stylists, a condition that can be incredibly painful and uncomfortable, not to mention visible. Practitioners offering cosmetic procedures like Botox injections, chemical peeling and hair removal will always use latex gloves to protect themselves and the customer by keeping the site as sterile and clean as possible. Auto Technicians The days are long gone when garage mechanics would go home at the end of a working day with their hands covered in oil and grease. Many now see the benefit of wearing latex gloves to protect them from the corrosive and malodorous effects of these substances and the after-effects of having hands which are difficult to get clean. An added bonus is that gloves can help to protect the customer’s car interior from dirt and oil, which would otherwise leave a permanent stain. Crime Solving and Forensics At a crime scene it is absolutely essential that police officers and forensic investigators wear latex gloves to avoid corrupting any evidence such as fingerprints or bodily fluids. Fresh sets of gloves can be used for each separate crime scene to avoid cross-contamination of evidence. So there you have it – some great examples of the use of latex gloves in different industries. It’s not hard to see why the latex glove industry is booming, and whether you’re using the gloves yourself, or ordering for your company, it’s important to get the right supplier. This entry was posted in The Glove Club on March 3, 2015 by Manoj Parmar. Skin irritation is a common problem most of us experience at some point in our lives, and can range from mild itchiness and redness to the development of sores and blisters on the surface of your skin. Here we give a guide to some of the common and also less well-known causes of skin irritation, so you can take steps to ensure your skin remains protected. Most of us are aware that cleaning products can cause skin damage and irritation. This is often as a result of contact with certain chemicals contained within these products. Whilst we would typically consider particularly strong and harsh cleaning products to be the worst culprits, other relatively mild cleaners can also cause irritation to your skin, especially if it is particularly sensitive. 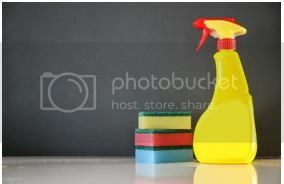 There are a number of chemicals known to cause skin irritation to watch out for, including; ammonia, which is typically found in disinfectants and general all-purpose cleaners, sodium hydroxide, commonly found in oven cleaners, and ammonium chloride, a frequent ingredient in mould removal products. These are just a few of the many chemicals found in everyday cleaning products that can cause damage to your skin and conditions such as dermatitis. Dermatitis is a skin condition arising after contact with certain substances which can cause your skin to become red and itchy. Given the widespread nature of irritating chemicals in cleaning products it is essential that means of protection such as gloves are worn when these are used for cleaning purposes, whether on a domestic or commercial scale, in order to prevent these chemicals from coming into contact with your skin. Whilst your garden may look lovely, unfortunately not everything in it may be kind to your skin. 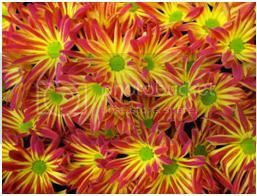 For example there are a number of plant varieties that can cause adverse skin reactions. Indeed certain varieties of plants contain allergens, and whilst these don’t affect everyone some individuals may have developed a sensitivity to them, resulting in an allergic reaction. Contact with some plant species can also result in dermatitis, and indeed there are three main types of dermatitis that can develop as a result of contact with certain plants .The first of these is a type of dermatitis known as irritant contact dermatitis, which arises as a result of a chemical reaction following contact with an irritant. This form of dermatitis is common and typically occurs in almost everyone following sufficient contact with a particular irritating substance. A further less common form of dermatitis, known as allergic contact dermatitis, is caused by a reaction of your immune system to a certain substance, known as an allergen. A final form of dermatitis that can arise is Phytophotodermatitis, a skin condition resulting from sensitivity to chemicals found in certain plants. Interestingly in this condition, sensitivity to these chemicals is triggered by a secondary chemical reaction when the affected skin is exposed to sunlight or other forms of UV light. Some of the most common plant culprits responsible for causing skin problems such as dermatitis include chrysanthemums, poison ivy, eucalyptus and tomato plants, as well as tree sap. Significantly the effects of contact with certain plants is not always immediate, indeed according to an article published in the Telegraph some people can even develop dermatitis as long as four days after touching trees and flowers that contain certain allergens. Given these potential hazards lurking in your garden it is important to protect your hands when working in your garden. For the best protection for you hands, it is best to wear rubber gloves which are durable enough to protect your hands from a variety of different potential hazards in your garden. For a full breakdown of potentially harmful plants take a look at this handy list compiled by the Royal Horticultural Society. Whilst the fact that certain foods can cause allergies when consumed is relatively common knowledge, less well-known is the fact that particular foods can also cause skin irritation when handled. For example some individuals are also susceptible to allergic contact dermatitis as a result of food allergens and even some food preservatives. Another condition that can arise in some individuals when handling food products is contact urticaria, also known as hives, a skin condition that results in the formation of red itchy swellings on your skin as a result of contact with certain substances such as particular foods. 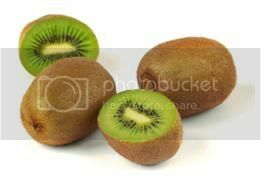 Examples of foods that can cause this skin condition in susceptible individuals include certain raw foods such as onions and kiwi fruit. Hence as well as ensuring hygienic food practices, wearing gloves when handling food products can also be important for the purpose of protecting your skin, especially for those working in the catering industry. Here at the Glove Club we provide a great selection of glove products including a wide range of rubber gloves to suit your needs, providing effective protection from skin irritation and other hazards whether at work, home or simply in your garden. For more information about our range of products and services please do not hesitate to contact us and one of our friendly team will be more than happy to help you with your enquiries. This entry was posted in The Glove Club on September 9, 2014 by Glove Club.